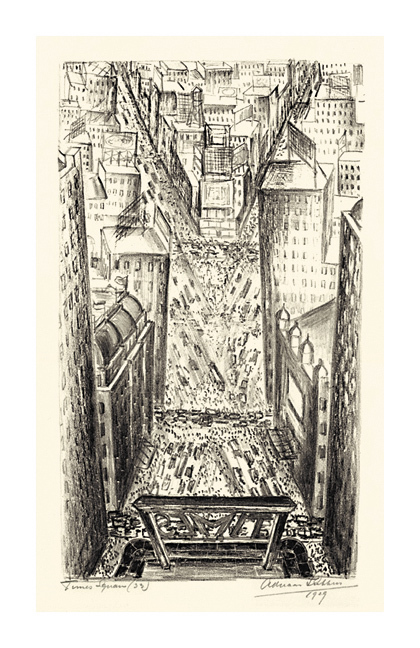 The El at Chatham Square = 1929, Lithograph. Image size 14 3/4 x 8 3/4 inches (375 x 222 mm); sheet size 22 1/8 x 15 inches (562 x 381 mm). 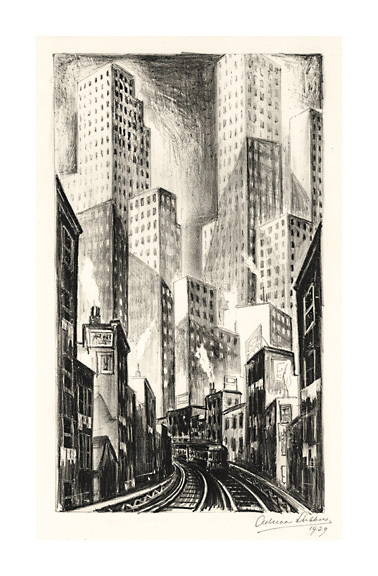 A fine rich impression, on heavy cream wove paper, with full margins (2 1/2 to 4 7/8 inches). Creases (restored) in the top right and bottom left sheet corners, well away from the image; otherwise in excellent condition. 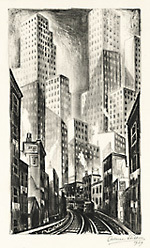 Times Square = 1929, Lithograph. Edition 40. Signed, dated, titled and numbered (33) in pencil. Image size 14 3/4 x 8 3/4 inches (375 x 222 mm); sheet size 22 x 15 inches (559 x 381 mm). A fine impression, on cream wove paper, with full margins (2 1/2 to 4 3/4 inches), in excellent condition. 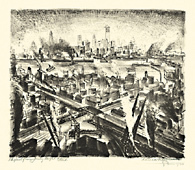 Skyline from Jersey Heights = 1930, Lithograph. Edition 25. Signed, titled and numbered 4/XXV in pencil. 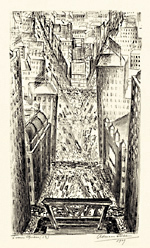 Dated Paris 1930 in pencil. 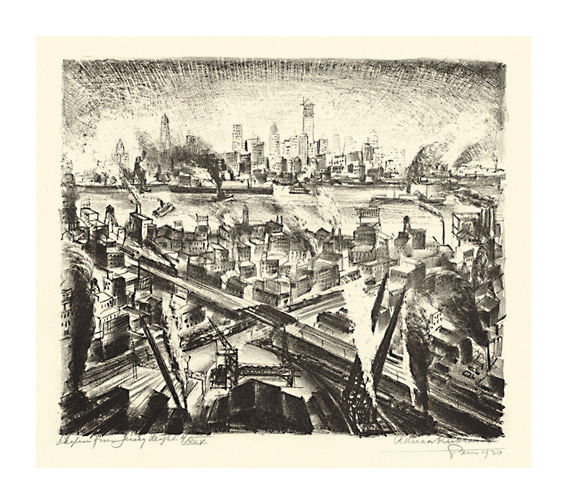 Image size 10 3/8 x 12 inches (264 x 305 mm); sheet size 15 x 22 1/8 inches (381 x 562 mm). A fine impression, with full margins (2 1/8 to 5 1/8 inches), on cream wove paper, in excellent condition.